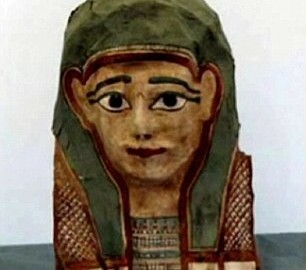 For more information as to why, read this Telegraph article here. Yeah, more religious memes from me lately. When you get an idea in your head, it just needs to come out. Fr. 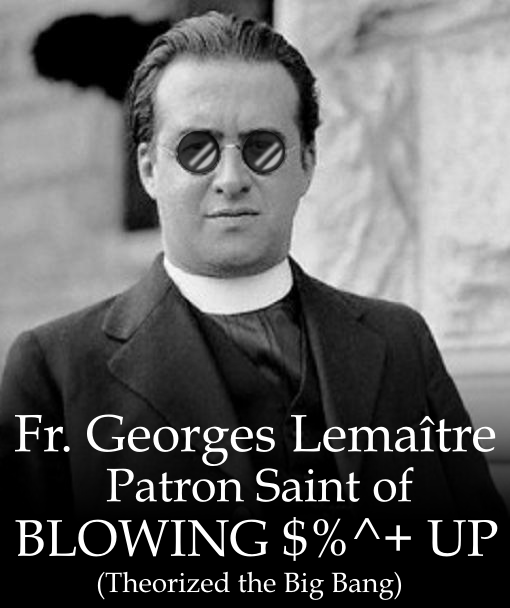 Georges Lemaître theorized the Big Bang two years prior to Hubble, and yet Hubble had the Hubble Constant named after him. It should be the Lemaître Constant. 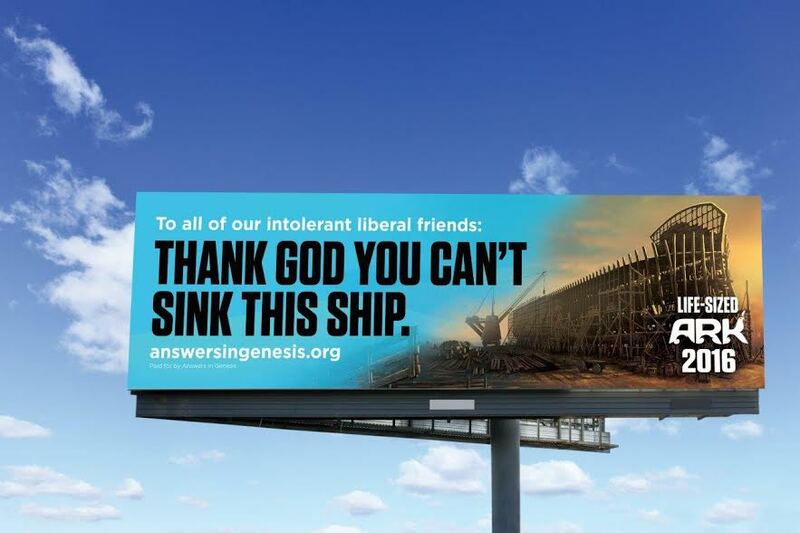 So Ken Ham is presently running ads for his ark park thing (despite the fact that he probably doesn’t have the money to do so — you can google it for the whole debacle). I shall await Ham’s pending hubris to resolve. I do not expect that he’ll take the hint. During Ferguson protests in Nashville, Chief Anderson opted from the beginning to communicate openly with the organizers and meet the protestors with coffee and hot chocolate to keep them warm. When the protestors pushed things and went onto a major roadway against the urgings of the police, instead of arresting all of them for obstructing the highway, Chief Anderson decided to close down the road temporarily for safety under the same precedent and procedure as they would handle a traffic accident or other natural disaster and the blockage was cleared up peacefully 20 minutes later. Finally, when someone sent him a scathing letter, shaming him for not making arrests, he responded politely by (practically) expressing that no arrests were made because the Nashville Police are not fascists, and are firstly servants of the people — all the people — including those who were expressing their First Amendment Rights. A Coffee Shop at Christ Church? Why Not? So, it is official. A Task Force has been convened to investigate transforming the Nicholas Room (one of our commons rooms) at Christ Church New Brunswick into a proper coffee shop / café and yours truly is the Chair. Most people when they are exposed to the idea of a Church having a coffee shop either react with immense enthusiasm or very quiet concern. 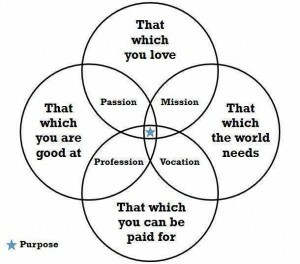 Because of this, I feel that I need to put together an introduction to the matter so that folks who are new to the idea of either camp — or anywhere in-between — can see where I am coming from with this crazy idea and why it is essential for the mission and health of our church. Over the course of the past 10 or 20 years, there have been two growing problems at Christ Church. The first is a steady decline in weekly attendance. In truth this is a trend that is not only seen with us and with churches of all stripes across the country, but something that is affecting *all* social clubs, fraternal organizations, and hobbyist groups. 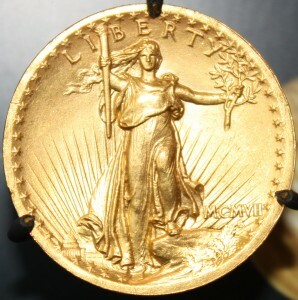 All mainline denominations, the Elks, the Masons, YMCAs, coin clubs, stamp collectors, even local political organizations, the whole gamut. Poll after poll shows that people are becoming less social now than they have been throughout the history of our nation. With the rise of the Internet and other changes, as a people we are socializing in a fundamentally different fashion. The second, which is directly linked to this decline in participation, is a growing deficit. Donations and other revenues are holding steady and even increasing at a slow pace, but they are not keeping up with the march of inflation, and expenses are growing every year. So with these two problems in mind, I thought to myself, what could we do to abate these? 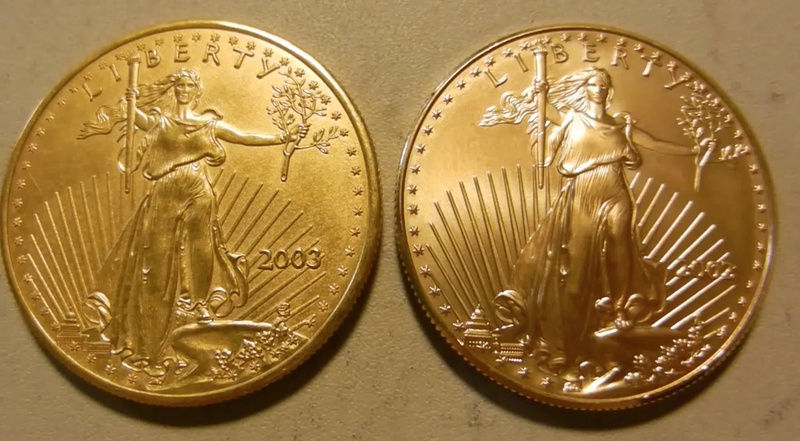 Right now hemorrhaging money is the most important thing to see to, otherwise the congregation my family has been a part of for over 6-7 generations will soon be demoted from a church to a mission (that’s Episcopalian-speak for a congregation that is supported *by* the Diocese [rather by its own revenues] which is the next level up in the national church’s hierarchy). Historically, I found some of my favorite methods had to do with brewing. Many churches were given special license during Whitsuntide (Epiphany and round about) to be the only institutions allowed to brew and sale beer. Christ Church presently has the perfect basement for it, but trying to get the appropriate licenses would be problematic in New Brunswick. So sadly that idea went right down the drain, so to speak. Another popular option among Episcopal churches today is to start a daycare. Montessori schools are all the rage right now. However, for such a thing to work, we would need some outdoor space where kids could play and be kids. All of our outdoor space is presently 200+ year old graveyard with old tombstones which would be reduced to scattered gravel if little critters were loosed upon them. That idea is right out. Several churches I know of have rental and catering services, which actually includes us. Well the rental part. We already rent out several spaces to other churches and groups throughout the week, and we have a catering kitchen up in our auditorium which — given some work — would be an amazing space to work in. However, unless we’re willing to become a wedding factory, revenues from these will continue to be slim. 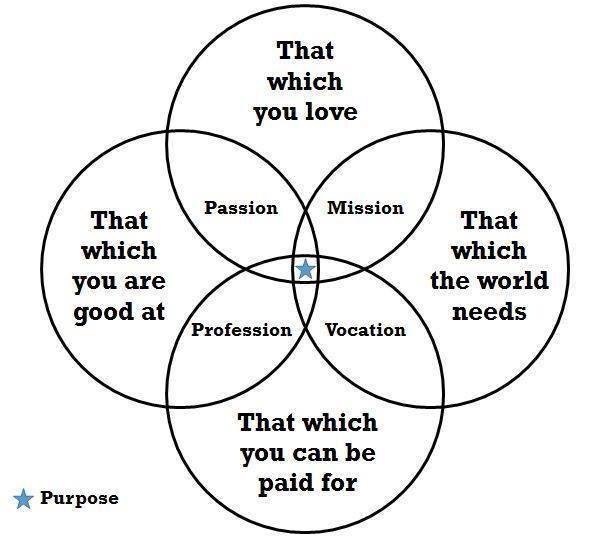 After considering all of these over a cup of coffee, it hit me. Literally. I spilled it in my lap. And it was in that moment something clicked. We need to do a coffee shop. 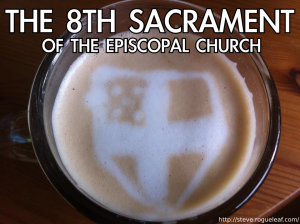 A coffee shop is inherently Episcopalian. 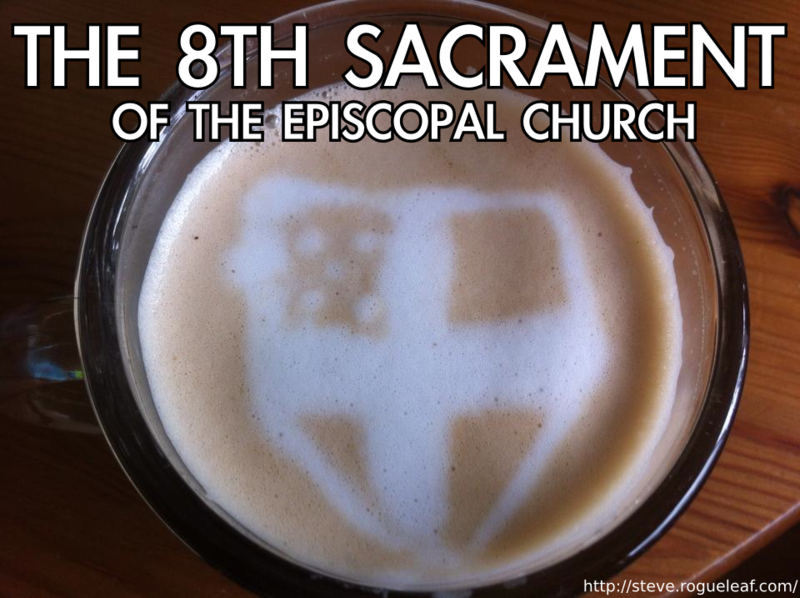 Everyone has seen the “Saint Arbuck’s” and “The 8th Sacrament of the Episcopal Church” memes floating about Facebook and the rest of the Internet. There is something about gathering together after the service that is part of Episcopal culture. 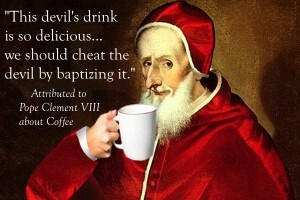 Looking a bit further back coffee has always had a special place in the heart of Christians everywhere. 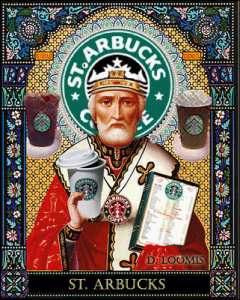 In the 1500s into the 1600s, Pope Clement VIII was first exposed to coffee which at that point was almost exclusively a Muslim drink (being exported from the port of Mukha — which is where we get the name “Mocha” — in Yemen). The story goes — which may have a touch of legend to it — that once he tried it, he became exceedingly troubled and enthusiastic, and was purported to say, “This devil’s drink is so delicious… we should cheat the devil by baptizing it!” And under his influence, coffee spread throughout Christendom. Quite soon afterwards, coffee houses became the places where the political and theological movers and shakers came to congregate. Controversial ideas were discussed over a cuppa, and such conversations carried strong push behind them. 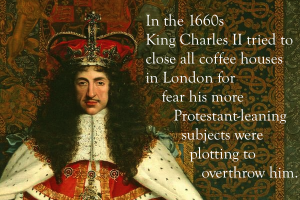 All of this came to a head in 1660s when King Charles II moved to ban coffee houses in England for fear that his more Protestant-leaning subjects were plotting to overthrow him… and he was correct. But all of that was in the past. Where were coffee shops situated in the church — specifically within the Episcopal Church — in modern day? In several surprising places. The Abbey in the Diocese of Alabama is a dedicated coffee shop church hybrid. As they put it, it’s a church with a coffee house and a coffee house with a church where Eucharist is celebrated on Sundays and lots of other stuff happens during the week. Spearheaded by Katie Rengers it’s off to a good start. 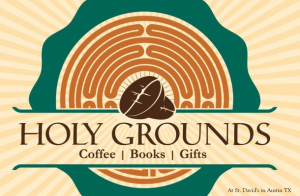 There are also less-integrated coffee shops such as Holy Grounds which can be found in St. David’s in the Diocese of Texas. Their model, however, is more of a coffee house, bookstore, gift shop hybrid. Presently, the National Cathedral is undergoing a café addition to its offerings. In short, this seems to be a growing trend and there are precedents for such an endeavor. 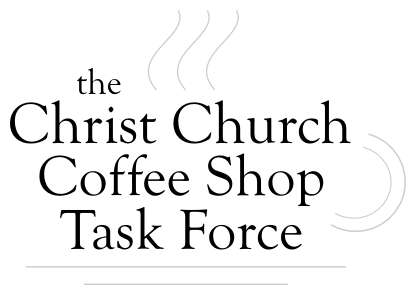 If Christ Church were to have its own coffee shop, the benefits would be multifaceted, and not all of them obvious. First and fore-mostly, we could see to the concessions needs of our congregation. Where this seems a little self-serving (no pun intended) there is a very real need. 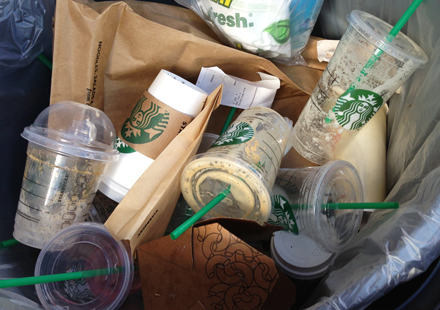 Every Sunday our waste receptacles are filled with Starbucks packaging as many of our congregants stop by the chain either before or right after the service. Imagine, if you will, if those sales were kept within the congregation, effectively converted into pledges. Over time that is not an insignificant sum of money and with Starbucks effectively being the “McDonalds of Coffee” having a proper coffee shop could offer a superior experience and greater pride in our church offerings. A garbage can in the Nicholas Room. That’s a lot of Starbucks cups. Second, we will have an “in between space” where folks outside of our congregation can meet people in our congregation, and (more importantly) a place where folks amongst us can meet new people from *outside*. We are a commuter church. This is to say that the vast majority of our members do not live in New Brunswick, but commute in from Highland Park or Franklin/Somerset. Many people who physically walk through our gardens and graveyard aren’t even aware that we’re a functional church. If we wish to continue to be a viable congregation, we need to be a part of the greater community we are seated within or we will continue to sublimate. Third, in the same vein, a coffee house is the perfect environment to make Millennials (that is to say, folks of my generation and younger) to get to know Christ Church. Why is this so important? They are the next generation that will be inheriting our church. Looking at our demographics again, not only are we a commuter church, but we are an aging church with a median age much higher than the state average. In stark contrast, the median resident age of New Brunswick is 23 years old. This is mostly due to the presence of Rutgers University and as a result New Brunswick is saturated with college students. 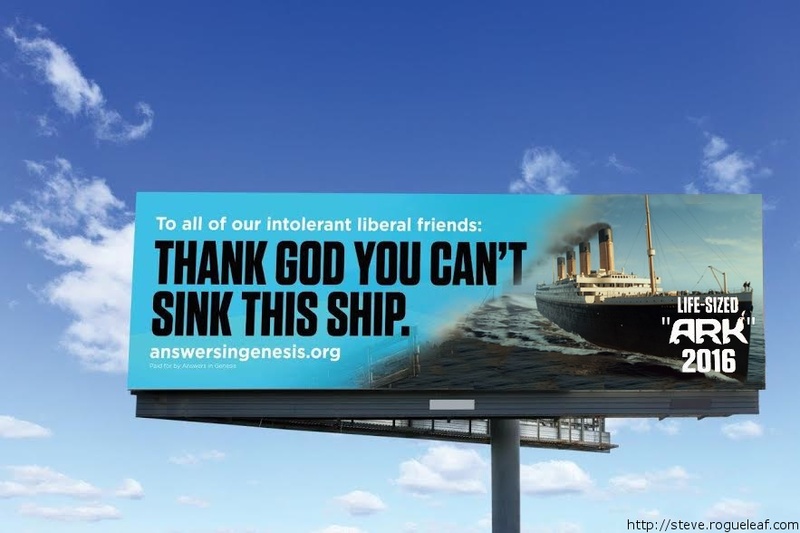 Numerous surveys and studies (Pew, Barna, etc.) find that the Millennial Generation — when given a choice — is interested in more traditional forms of worship such as the liturgy of the Episcopal Church as well as more traditionally-oriented sacred spaces such as our sanctuary. At the same time, in seeming opposition, they prefer their church’s ideology to be progressive and modern. I cannot think of a more apt description for the present condition of the Episcopal Church. Also, sadly, the Millennial generation is one of the most aggressively unaffiliated generations of our time. Where roughly the same portion of them are religious, they tend to eschew organized religion because of their conception of it as unscientific and hateful. However, a hospitable coffee shop in a quiet part of New Brunswick is the perfect place to grab a drink and get some studying done and this, coupled with the shared sense of aesthetic and ideology would be a welcoming environment for those Millennials of faith to learn what we stand for. Fourth, a coffee shop would be the perfect venue to actively invite in community events as well as a means to augment events that we already have going on. There is a lot of local talent in New Brunswick, and artists and musicians are always looking for new venues to express themselves and having entertainment and decor in a coffee shop is a perfect fit. We quite often host choral performances in the Sanctuary whose participants and audience could then be invited over to the coffee shop for refreshment afterwards. It will allow our existing events to go that extra mile and make the experience that much more satisfying. Fifth — and this is sadly a very important point — it can help balance up our budget. There are no two ways about this: Christ Church is presently losing an awful lot of money every month. 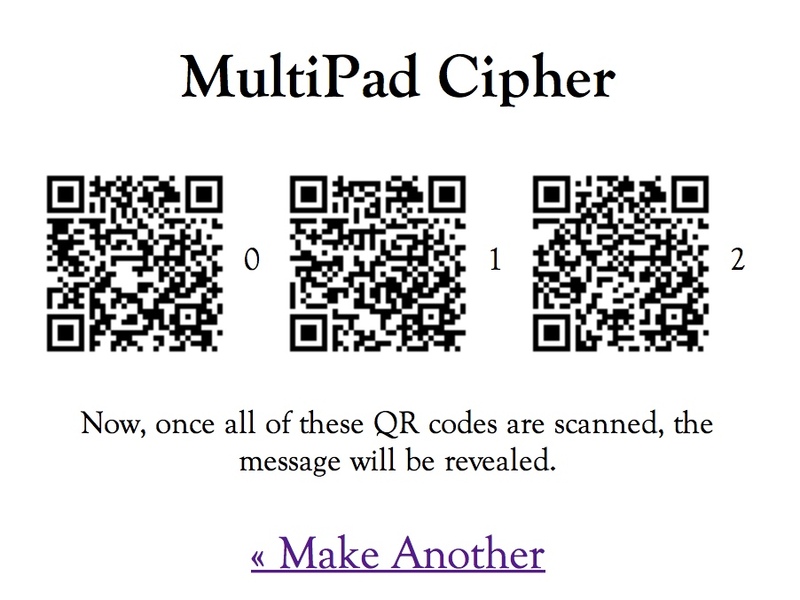 The revenues of even a half-successful coffee shop could offset this amount trivially. Sixth and finally, it can offer employment which is something sorely needed in the present economy. Good jobs are scarce, and being a church instead of a corporation we are not compelled to squeeze every dollar out of our employees as many large chains do. The kind of employment we could offer would be much more personal, humanizing, and agreeable. The strength of these five advantages, on their own, merit the serious consideration. As I mentioned earlier, the first place one would consider would be the Auditorium upstairs as it is equipped with a fully-functional catering kitchen. Granted it needs a bit of work and a new floor in order to get it back into tip-top shape, but in its heyday it was the original location of Elijah’s Promise and served many people on a weekly basis. However, the Auditorium has a few disadvantages that make it less than appealing for our purposes, the first of which being that long flight of stairs. 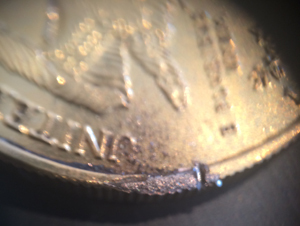 Getting customers and supplies and equipment in and out becomes problematic. It’s also not the most visible location as in order to get to the staircase one must go through the Patterson Street entrance which is itself a bit obscure (as I found out, firsthand, trying to give directions to friends). Finally, we already rent the space out on Sundays and at other times to groups that use the space in ways that a coffee shop would not fit around. Sadly, outside of possibly using the kitchen on occasion, the Auditorium is right out. So where else do we have a good location? The Nicholas Room. 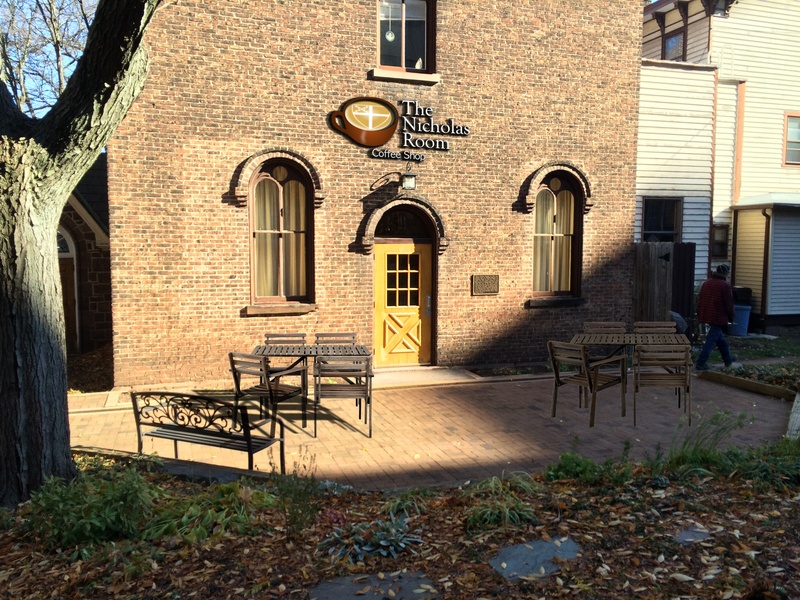 The Nicholas Room already has great frontage and the outdoor entrance can be seen plainly from both Patterson Street and Church Street (albeit easier in the winter with fewer leaves on the trees). The graveyard and gardens are already a high-traffic area with lots of people coming through on foot and sitting in down on the benches to enjoy their lunch or simply take in the scenery. It has a patio which would be perfect for tables and umbrellas in the warmer months, already has a kitchenette with all of the essential hookups (plumbing, electricity, and ventilation), it has a bathroom, and — most importantly — it is already where we hold Coffee Hour each and every Sunday to begin with. 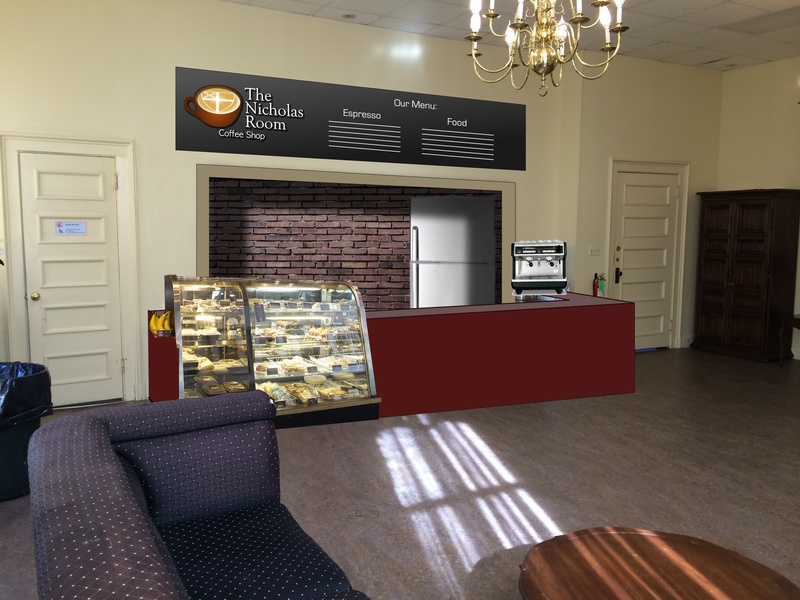 Because of all of these facts, the Nicholas Room is truly the best place for us to consider a coffee shop and this has inspired me to make a few mockups. First we need to ensure that it will be an in-between space. A place that is a paragon of Christian hospitality where anyone, regardless of who they are, can come and enjoy a hot drink and a light meal and learn — provided they want to — more about the church. It needs to be a place that inspires that sort of enjoyment and curiosity without driving anyone away, feeling that they were blindsided by an agenda. It’s avoiding that feeling that has made the “e-word” (“Evangelism”) almost spoken in hushed tones like it’s a cuss amongst many Episcopalians. Second, once all costs come in, it must provide a financial net-positive for Christ Church, otherwise it will merely drive our deficit wider which we cannot afford. This is also something that cannot be determined within the first few months of operation and will take (unless it’s a complete disaster) at least a year to properly assess. Towards those goals, during the week the space will be a “normal” coffee shop. We will need to have “normal” and regular hours seven days a week to keep people coming in, and this will in turn make Christ Church a space that is more alive outside of the weekends and AA meetings. During set times on Sunday — specifically the normal coffee hour — we will need to have a space in the shop reserved for it to function like a normal coffee hour; a place with the normal spread set up in a prominent enough place for *anyone* to partake in. We’ll also offer up all of the drip coffee for free (think of it as after-church happy hour). You’re not a member of the church? No problem. You’re invited anyways. Regular menu items, however, can still be available to purchase for those who want something more substantial when the coffee hour is slim, a specialty drink of some variety, or if they wish not to take part for their own reasons. In this way we’re not forcing participation, but we’re actively making it convenient and inviting for those who want to reach out but otherwise wouldn’t. If we stay focused upon these ideas as the core values of the coffee shop, they stand to make a major impact upon both New Brunswick, and our own communities. Offer coffee “passes” that are renewed monthly or yearly like pledges at various tiers that allow a certain number of coffees over fixed amounts of time. Invite in local artists, artisans, and other groups. Gaming nights. Family nights. Etc. Invite folks like the Joyce Kilmer Society. The novelty of a Christian coffee house has serious “ecumenical potential” for getting to know other local faith organizations or fellow churches in the Diocese. Old things like caffe sospeso or “suspended coffee.” Donations can also be solicited directly at the counter. Is this your first time here? Coffee’s on the house. TEC welcomes you! You’re a regular? Ask for the Aramaic Menu. Now we must take into account any steps and hurdles that stand in the way of such a project, because if any of them prove to be insurmountable, a coffee shop might not be viable from the get-go. However, I can say with confidence that I have yet to find any such insurmountable hurdles with the resources we have to work with. Running a side business may have tax implications for a church and if handled improperly may revoke our tax exempt status. As such we need to pay careful attention to what is known as Unrelated Business Taxable Income (UBTI) which can generate Unrelated Business Income Tax (UBIT). This form of taxation stipulates that if an 501 entity (such as a church or charity) conducts any business that is not directly related to the mission of the organization, such business is taxable. 1. Is the activity generally considered a trade or business? 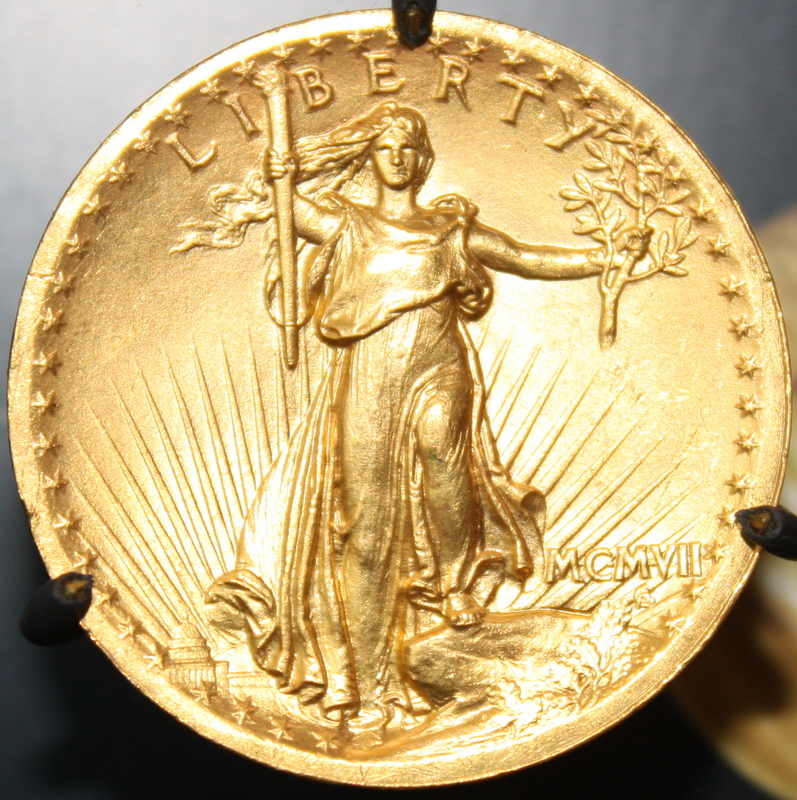 This usually means that the activity involves providing the sale of goods and services in exchange for payment. A coffee shop would fall squarely under this part. 3. Is the activity substantially related to an exempt purpose? If any activity does not contribute in an important way to the exempt purposes of the church, there would be tax liability; however, many churches offer services that have an appearance of commerciality but are not treated that way because their underlying purpose is to help the church be effective in spreading religious understanding or promoting fellowship. As a result, if we do not focus the coffee shop’s mission carefully enough, we will have to pay taxes on sales and income generated. There are, however, several exemptions built into the law that should specifically cover our operations. Based upon extant examples in the law things like bookstores or coffee shops run by a church are generally considered to be for the convenience of the church members and visitors (for which there is a specific exemption). This makes it more likely that people will come to church and not leave to get coffee, have access to books that the church believes are relevant to religious study and similar matters of convenience. So, if we are very careful to keep the coffee shop’s mission as a ministry first and foremost, we *shouldn’t* have any problems. Even if we are tax exempt, in order to provide food to the public from the Nicholas Room space we will still need to get an occupancy certificate like we already have for the auditorium, which is the same process. This is something we already know how to do. In order to serve food and drink we’ll need an inspection certificate and hot food license and this is where things get a bit tricker and overlap with remodeling considerations. In order to pass inspection in New Brunswick a requirement is that we have a triple-sink with grease trap. This is doable. Finally, we need to see how this would affect our liability insurance and what requirements for liability insurance exist. This is an area that I am certain there are requirements for, but I cannot immediately find numbers. All of this in mind, we should run everything by a lawyer just to be absolutely sure. The Nicholas Room in 3D. Once we get a legal go-ahead, we can then focus upon what it actually will take in order to make the space useful for the purpose of a coffee shop. This can be broken down into several categories. 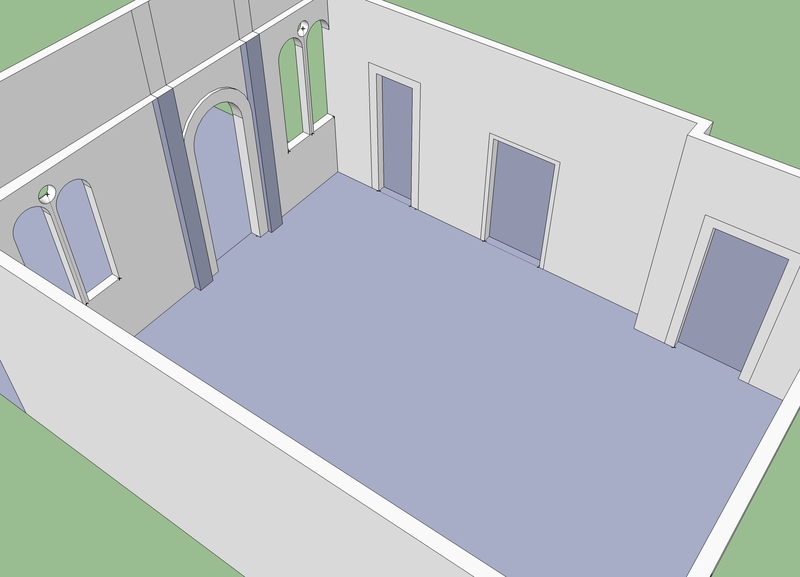 I’m presently in the midst of reproducing a 3D model in Google Sketch-up to aid in with visualization. A mockup of how a counter could look, augmenting the kitchenette. We will first and fore-mostly need to figure out how we wish for the counter, food preparation areas, and seating arrangements will be. This will determine how much working space we have as well as the flow of traffic and customers throughout the room. There is some overlap with this and the later section that outlines Tools & Equipment Considerations, as the counter must be able to accommodate all of the machinery and furniture that is chosen. The fixtures in the kitchenette will have to be completely overhauled, the ventilation checked, and the opening to the kitchenette possibly widened for easier access. We’ll also need to choose a color scheme and decide if anything needs re-painting, window treatments, and any other aesthetic considerations. Much of the work necessary to do this may have to be carried out by a contractor, or if we can find a modular solution, it can be installed by volunteer work, or a combination of both. Since it will be a public in-between space, we may need to make minor alterations to the bathroom to make it easier to manage and keep clean. Signage is important so that folks know that we’re here, both inside and outside of the church. We will probably need a big sign for above the Nicholas Room door that is lit at night (which will be the largest expense), signs for each entrance to the grounds, one by the bus stop, and several for inside the hallways of the church. I have already mocked up a logo that we can use as a fill-in for the time being, but like all things in this proposal it is up for refinement. During the warmer months, the patio is the perfect place to have tables and chairs for customers to enjoy their drinks and meals outside. With the additional public traffic, additional security measures will need to be taken into account. The outside door to the Nicholas Room already locks, but may need to be adjusted so that it’s easier to operate during the daylight hours (it sticks), and the inside doors to the hallway towards the cloister and the Children’s Chapel may need to have new locks installed upon them. The following is a list of the tools and equipment a successful coffee shop needs to have. This has been compiled from a number of sources specifically about starting coffee shop cafés for churches as well as the general public. As we use this equipment, some additions may be realized. In order to run a coffee shop that can carry out the mission we have in store for it we need to ensure that it has sufficient hours of operation. All coffee shops in the greater New Brunswick area are open 7 days a week, regularly, so in order to make the biggest impact upon the community and make the best level of sales we will need to have full time staff to operate it at a similar schedule. We will need a Capo (“Manager”) to oversee all operations and enough Baristas as demand requires. The Capo would be responsible for the daily goings-on of the shop, advertising and community outreach, would keep track of earnings, schedules, and promotions, and make appropriate reports to the Office and the Rector at regular intervals. They would also be instrumental in the hiring of Baristas (which of course would ultimately be determined by the Office) and ensure that the Nicholas Room space remains in top shape without putting any further burden upon our Sexton. Baristas will be responsible for engaging the customers, working the register, preparing the drinks and food, and keeping the space clean. Wages will ideally be drawn from the operations of the coffee shop. Since this is a missional endeavor, it would be best if the employees were well-versed with Christ Church and its history. They would ideally be Episcopal and members of the congregation (however, “you don’t need to be crazy to work here, but it helps!”). To not make it seem like a huge conflict of interest, but I would like to throw my own candidacy into the ring to be one of those staff members. To wax a bit theological, I have felt “pushed” towards this project in more than one way over the course of the past few months due to a case of converging circumstances. If you’re friends with me on Facebook, you’ll know that I know my coffee and practice it 3 times a day for myself and my wife. It’s a hobby that’s really her fault. She bought me an espresso machine, and I repaid her by learning how to use it. Now as far as being part of such an endeavor, I have run my own business for about 10 years, now. Granted it is Aramaic language translations to the public –not food service– but it is a job that is very heavy on customer service and education. Additionally, I have good experience with Caruso Kith Kin & Co LLC (my family company) working regularly as a vendor at different shows and events, and have developed some very sharp personal sales skills. However, in the current economy there is waning interest in Aramaic. The Aramaic Tattoo fad (which drove my business into its heydey in the wake of The Passion of the Christ) is officially “over.” As a result, I’m moving into publications & education where there is still some interest, but at this point I am at a point of transition. This space, one that promotes casual Christian hospitality, would provide opportunities to both practice things I am proficient in (sales, coffee, & Christ Church history) as well as give me a place to teach Aramaic (on my own time) where people can to feel at ease. As such if I were on staff, I wouldn’t need to worry about making Aramaic and other events commercially viable for my own personal survival. It would simply be what’s available for whomever wanders into our doors. In other words, if I’m on staff I’m the most dedicated person anyone could find who is interested in this project’s success by making use of any and all related skills I have at my disposal. I could take direct steps towards ensuring that Christ Church — an institution that my family has been a part of for over 6 generations — continues to be viable in a real and lasting fashion. We need to have a simple menu with a simple, curated set of options. If we try and offer everything, we will do nothing well, and the more choices a customer has, the unhappier they will be with whatever choice they make in the end. This is known as the “paradox of choice” and is a very well-understood psychological principle. I recommend that we either go with American grown coffee from Hawaii (Kauai coffee is — in my opinion — better than Kona, affordable, and sustainable) or Fair Trade (Equal Exchange). We should have a few good drip coffee varieties. No more than 4 (the standard spread today is Light/Medium Roast, Dark Roast, Decaff, and a flavored coffee such as Hazelnut which is quite popular). Offering brew-your-own has been suggested. 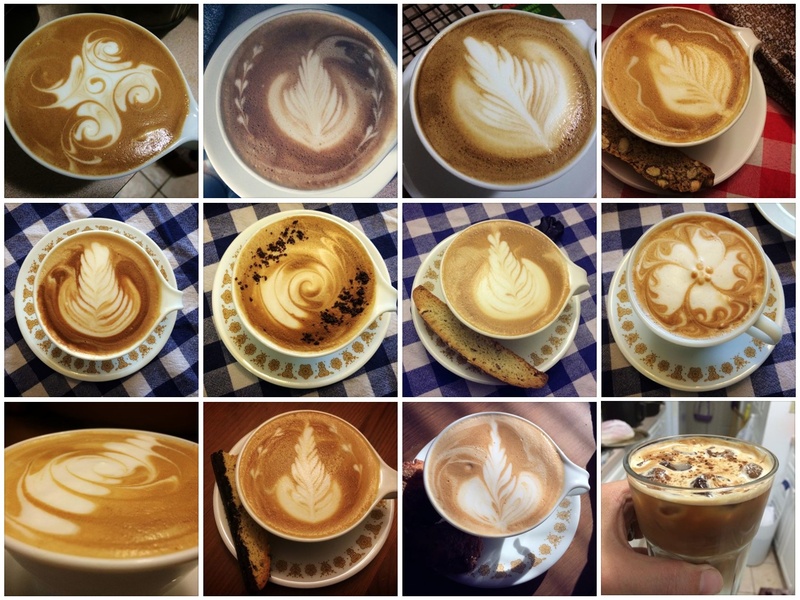 A simple offering of Espresso, Macchiato, Cappuccino, Cortado, Cafelatte, Latte could be used with a chart to indicate where each falls on the spectrum of coffee-to-milk. Loose leaf tea we can have imported again from Hawaii or directly from Fair Trade estates. Stick with the rule of 4 like with drip coffees: Black, Green, White, and a special flavored variety that we switch up. Offer it hot and iced. Cold sandwiches? Hot paninis? Salads? Fruit? Little pizzas? Bubble tea? Let us discuss the possibilities. And as always, if a customer requests it and we can make it or prepare it, give it a shot. Portion sizes are also an important consideration. When you go to a Panera and order a cookie, you end up getting a baked good that is 500 calories (about the size of 4-5 cookies). The same with drinks. If you order a “small” (i.e. “tall”) at Starbucks, you’re given 16 fl.oz. Your average espresso drink is *supposed* to be 6 fl.oz., so a “small” ends up being more than two drinks! I believe that we should make it a point to encourage proper portion sizes. The Diocese may take an interest in this project. The George Street Co-op has a café in an even smaller space. The manager (an old friend of mine) would love to help navigate the requirements. The Better World Café in the Reformed Church of Highland Park. 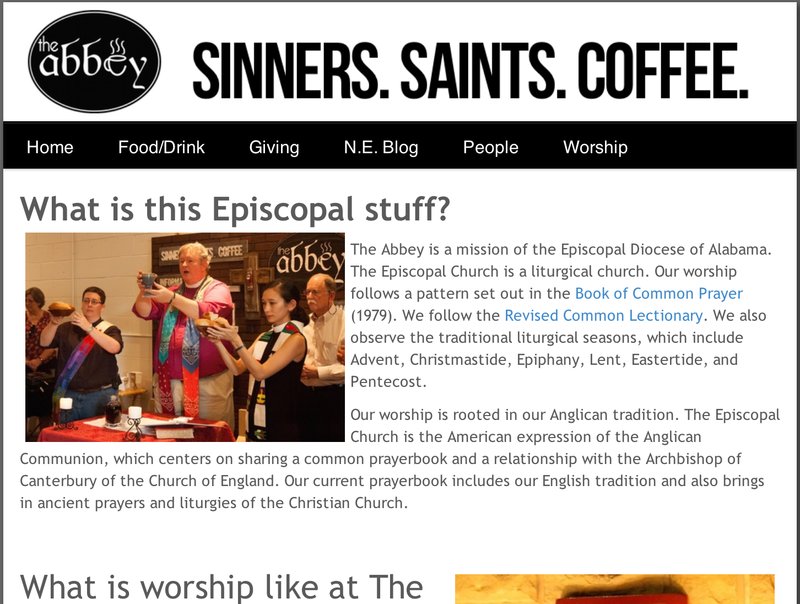 Cathedral of All Saints (Albany) has been flirting with adding a café for some time. I put a summary of this crazy idea up on the Facebook group Episcopalians on Facebook and within 24 hours it had garnered over 100 “likes” and over 50 comments. The next steps now lie with the Task Force. If you’re interested in participating, please get in contact with me. We need all the help we can get! There is an Angel somewhere — we’ll call him “Stan” for convenience — who has a great scroll. Written upon that great scroll is the Calendar of the Universe with every day that was, and is, and has yet to be. 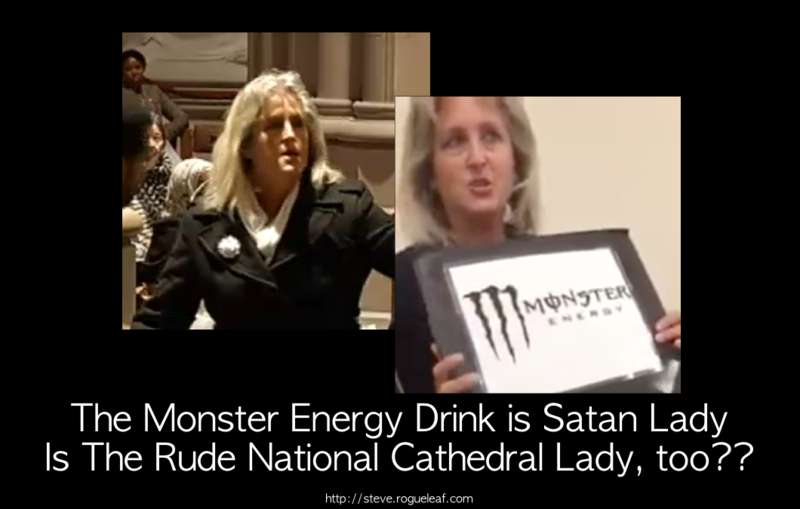 The Monster Energy Drink is Satan Lady Interrupted a Muslim Prayer at the National Cathedral?? Has everyone seen the video of the woman who interrupted the Muslims invited to pray Jumu’ah at the National Cathedral? The voice… the face… they’re the same person. Who the heck is she?? UPDATE Nov 17th: The Raw Story has identified her as one Christine Weick. If she isn’t the Monster Energy Drink is Satan woman, she’s a dead ringer for her.